Sold Out - Boy Karma ... who or what is he ? Boy Karma is the Deity who represents the Toy Karma credo of paying it forward in a positive light in all your toy deals and your Holy Grail toy will come to you ! 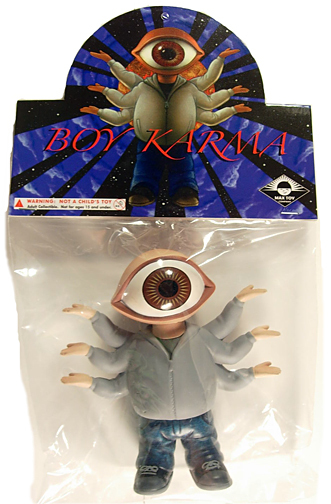 Now you too can have a Boy Karma to watch over your toy collection and just maybe bring you some good Toy Karma ! 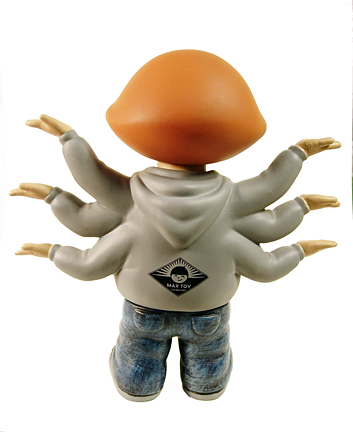 Soft Vinyl, about 4.5 inches tall, articulated at the neck and waist.